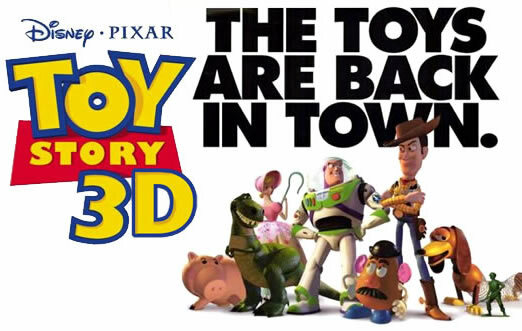 I’ve just been to see Toy Story 3 and I cannot explain how much I loved it. It by far exceeded my expectations and has reminded me why it is that I love film so much…why I want to be a part of this amazing industry that can have a whole room of total strangers laughing, crying and cheering together. There is a reason they waited eleven years to make this film…and that reason was to make it so bloody brilliant that there are just no holes to pick at. From the beautiful and astounding animation to the wonderfully witty script, this film soars through emotional highs and lows as all your favourite characters are brought to life once more to battle an evil teddy bear. Woody has remained as loyal and charming as ever, Mr Potato Head is just as grumpy and yet so so lovable, Slinky is…well…Slinky, and Buzz? Oh Buzz goes through some changes in this one. All I’m going to say is…’Hola Señor!’. So if you’ve got a few hours this summer, and if you’re going to see just one film…please make sure it’s this one. I promise you will not regret it.